A while back I signed up to the Social Berry site, this website helps bloggers socialise with other bloggers and find collaborations with brands. 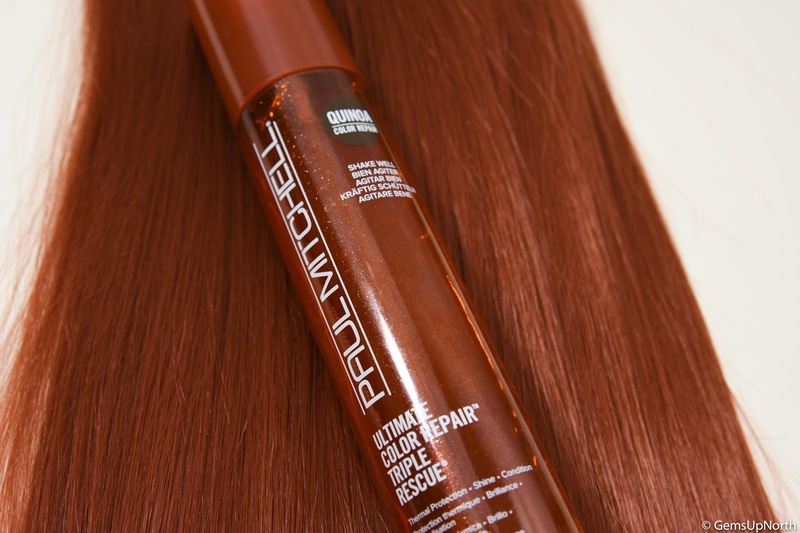 I recently applied for a couple of the colabs and received a reply from Paul Mitchell to try out the Ultimate Color Triple Rescue; I was very excited to start using this product. Paul Mitchell was started 35 years ago by 2 friends who wanted to provide luxury hair care products at affordable prices and support the success of the hairdressing industry. As well as producing high quality hair care products, Paul Mitchell went the extra mile and in the 1980's was the first professional beauty company to stand up against animal testing; which means that Paul Mitchell products are cruelty free. My first impressions as I opened the parcel was that the product packaging looked very professional, like something you'd see for sale and being used in a hair salon. Since Paul Mitchell is a professional hair care company I wouldn't of expected any less, the branded bottle was easy to read, the information was clear and the instructions was easy to follow. 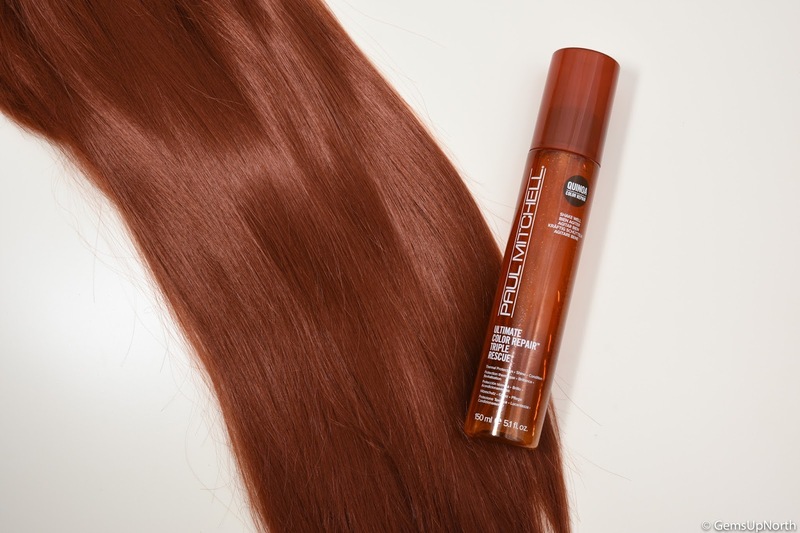 The ultimate color triple rescue is a duel-phase spray that protects colour treated hair against heat. Without heat protection hair can experience colour fading and have a dull look to it, which none of us want. The duel-phase product has two parts, one part to protect hair against heat and the other part conditions the hair with Quinoa color repair complex, which keeps hair looking healthy, vibrant and shiny. To achieve these results you need to shake the bottle well before spraying onto damp towel dried hair. This product is paraben free, vegan, has UV and thermal protection and is color safe too, I think these properties make the product very desirable to me and other beauty/hair care enthusiasts. I've used this product quite a few times now and can see a clear result on my hair; not long ago I stripped out black dye then bleached my hair so it is in need of a good condition and any help it can get. My current hair care routine includes; brushing with my Tangle Teezer, a hair mask, sliver shampoo, Lush conditioner and this Paul Mitchell spray. Shaking the product well creates a sparkly liquid inside the bottle, the pump spray is easy to use just like a normal spray bottle product. I pick up a coconut-like scent when spraying onto my damp hair which is very pleasant and lasts until my hair is dry. As for heat I occasionally use a hair dryer (I leave to dry naturally more often) and I use my hair straighteners once my hair is dry after each wash so I need a good heat protection product like this one. My final thoughts on the Ultimate Color Triple Rescue is that my hair felt in better condition after using this product within my hair care routine, I enjoyed using the spray to protect my already damaged hair from heat and my hair actively looks more shinny in it's appearance. I like the products scent, the results I've gained and that the product is paraben and cruelty free too. I will continue to use this triple rescue spray and am going to buy the shampoo and conditioner from the same range. 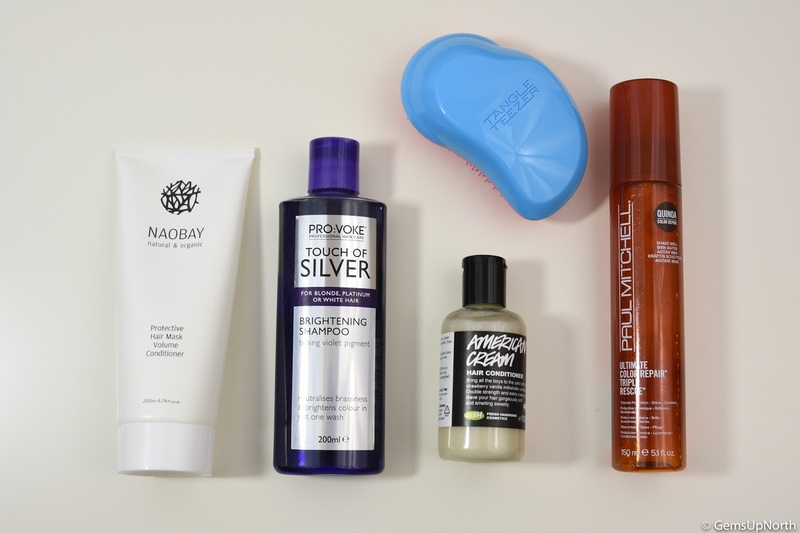 I believe these products will continue to help my damaged hair and help restore it to a full and healthy look that I once had. *PR Sample - all thoughts are my own, see my disclaimer for more information.